Dev blog #18: Eat and drink to your hearts content! Does eating an exotic feast meal, made up of spiced haunch, cooked eggs and dried berries, while drinking some nice highlands wine sound tempting to you? Needing food and water at regular intervals can be somewhat of a hassle in both real life and survival games. 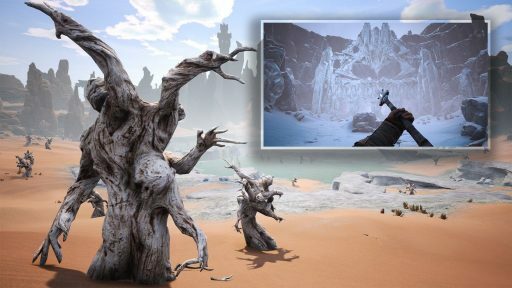 But just as in real life, where eating and drinking can be a source of great pleasure and fulfillment, eating and drinking has been made much more interesting, helpful and fun in Conan Exiles with the Frozen North expansion update. You can now make a host of great dishes, made from all types of food, and also brew great wine or alcohol beverages. You in the mood for some steak and eggs, roasted mushrooms, spiced soup and savory jerky? And how does washing it down with cactus wine, mead, shroom bear or phykos rum sound? 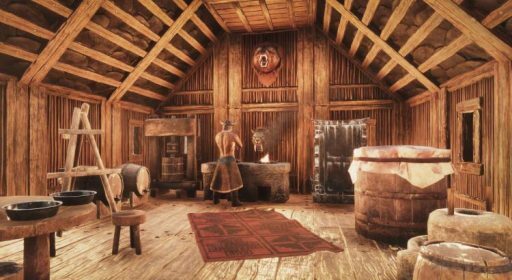 All the different types of food and drinks you can now make in Conan Exiles are not just fancy names and pretty icons, but many of them do way more than just quench your thirst or fill your stomach. Going to take on the mighty frost giants in the Temple of Frost? Better bring some firewater to drink and desert chili to eat. They will heat you up nicely and reduce the effects of the freezing cold. Making a raid on a powerful enemy clan? It can be a good idea to bring some demon blood-sausages or exotic meat feast. They provide either a strong heal over time or big instant healing effect. Gathering salt and brimstone in the smoldering hot Shattered Springs area? Take some darfari bug soup and ale with you to help keep cool under the burning sun.